How to wrap a scarf – there are so many different ways to style your looks! It is all about what you want to do with your accessory. Truly, a slight twist can make all the difference. I love it. 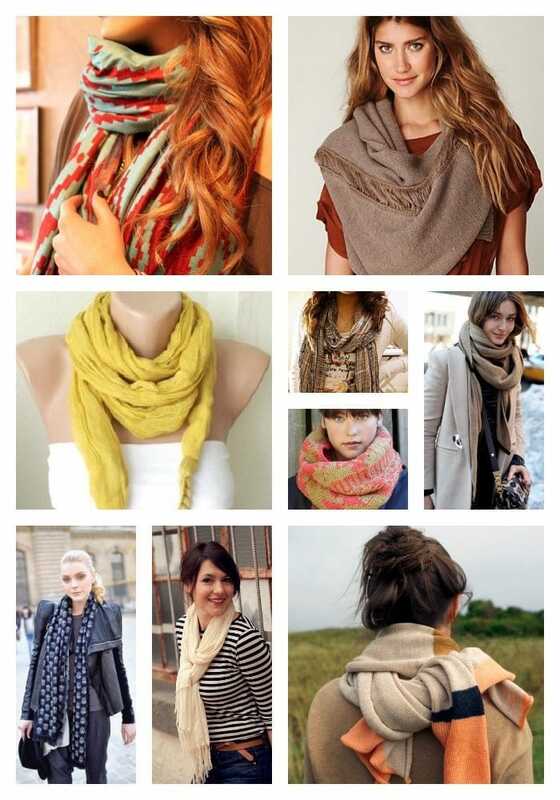 A lot of women tend to wear their scarves the same two or three ways. And there’s a reason for it. They don’t know how to wrap a scarf!! Well, I deciced to give you a little inspiration here, folks. I put together a collage of 36 different ways you can style your future looks. Here’s a few dozen ways how to wrap a scarf. How many can you do!? I love the way a scarf can totally change the look and feel of an outfit. For today’s obsession post, I thought I’d show you a few different FAB ways to style one. Take a look and let me know which is your favorite look. Of course it matters what season you are in. You wouldn’t be wearing an over-sized chunky scarf that can wrap around your neck 12 times in the dead of summer. But you get my drift – lots of different looks here. Get some style inspiration! 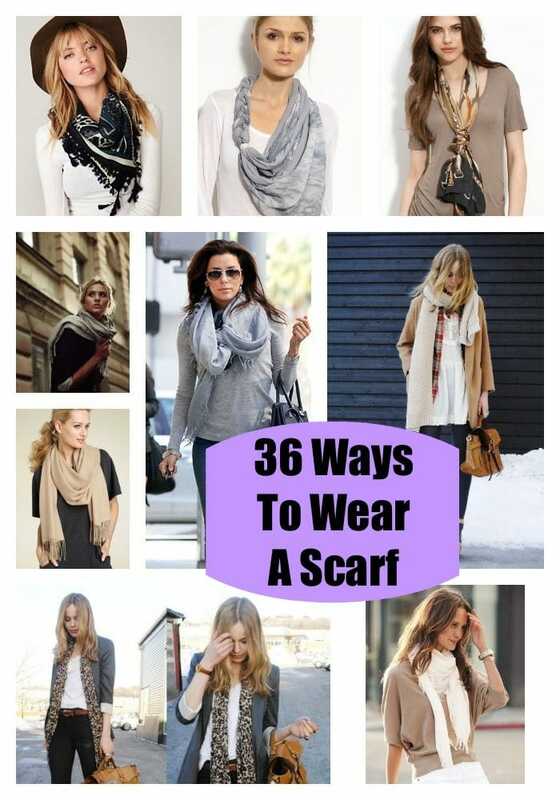 Wear your scarf loose, tightly wrapped, hanging, twisted, tied around back, knotted, or messy. Completely up to you. 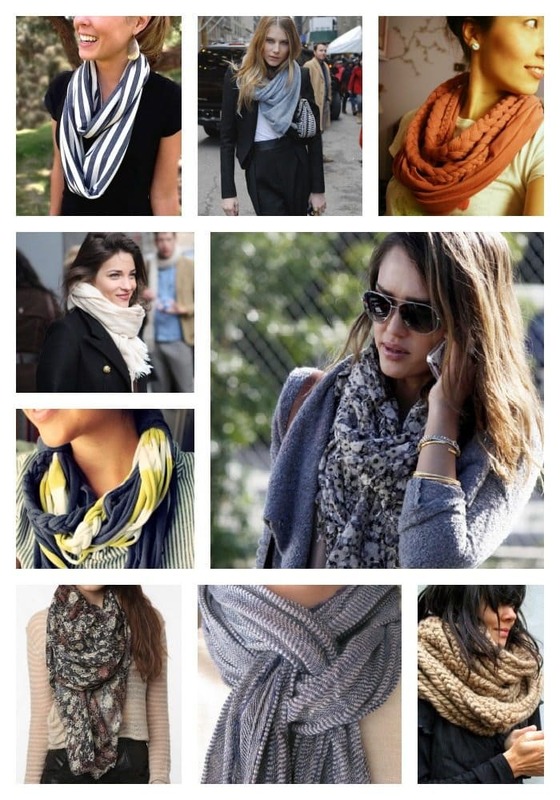 Do you wear scarves on a regular basis?